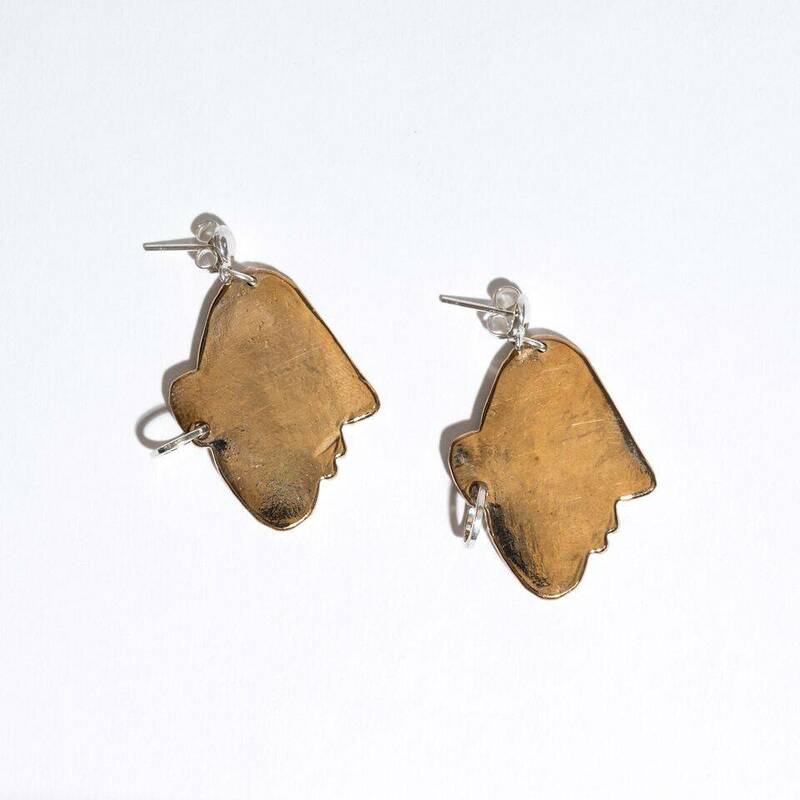 Bronze profiled face cutout, with a little hoop earring. Attached to a sterling silver post. Measures 1 1/2" long. Made in New York.